A. G. Design Engineering Services provides assistance in all the phases of mechanical, electrical and plumbing (MEP) detailing services. We specialize in routing plumbing layout design and detailing, piping & plumbing shop/coordination drawings, piping construction drawings as per the P&ID's. Our MEP CAD drafting services are based on Autocad™. Our MEP CAD drafting team is competent in handling a wide variety of building project types and are highly experienced in most commonly used international codes, standards and practices. Detailed drawings form an indispensable part of any project. Drawings form the basis of planning, communicating and execution for any project. Keeping this in view, we produce high quality drawings using people having great expertise in this area. Advenser, a global CAD and BIM service provider offers superior Mechanical, Electrical and Plumbing (MEP) engineering services at reasonable rate and unmatched quality. CAD Outsourcing provides MEP Shop Drawing Design. The mission of CAD Outsourcing is to be your best choice for accurate, cost effective and timely. Shop Drawings for commercial, institutional, residential and others. We provide 2D drafting and 3D CAD drawings services at affordable rates. We are a group of professionals providing mechanical drafting drawings services to all different kinds of clientele including Manufacturers, Engineering Companies, Steel Fabricators and Consultants. We offer good and detailed mep (mechanical electrical plumbing) drawings (HVAC, Fire fighting, plumbing, site drawings & chemical, petroleum and other plants). The MEP drawings services we offer are the best because of our best management of project and infrastructure capabilities. Transformers Compact Substations HT & LT Panels Cabling DG Sets ATS UPS Systems Static Transfer Switches Earthing Internal & External Electrification. 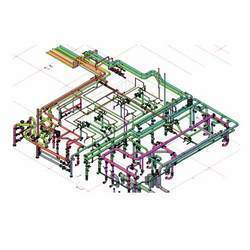 We provide MEP services drawings on CAD, including the coordination of MEP services. ES Elecserve Consultants PVT. LTD.